As we age, our skin inevitably loses its youthful appearance as the production of natural dermal volumizers and moisturizers such as hyaluronic acid diminish, leaving lines and wrinkles where our skin once was youthful. Today the signs and symptoms of the natural aging process can be reduced by replacing lost hyaluronic acid. Most of the dermal fillers on the market today are made up of Hyaluronic acid. Hyaluronic acid is the most prominent glycosaminoglycan in the skin. Hyaluronic acid potently binds to water and when injected into the skin volumizes, softens and hydrates the skin. With the increasing desire for people to achieve a more youthful appearance, the aging baby boomers population and the increased demand for nonsurgical treatments, we have found that hyaluronic acid dermal fillers are consistent, have predictable and immediate results, feel natural under the skin, take little time to be injected and exert minimal to no downtime for the patient. As with biostimulatory fillers, they stimulate one's own natural collagen, have minimal to no downtime and creates a natural looking result. 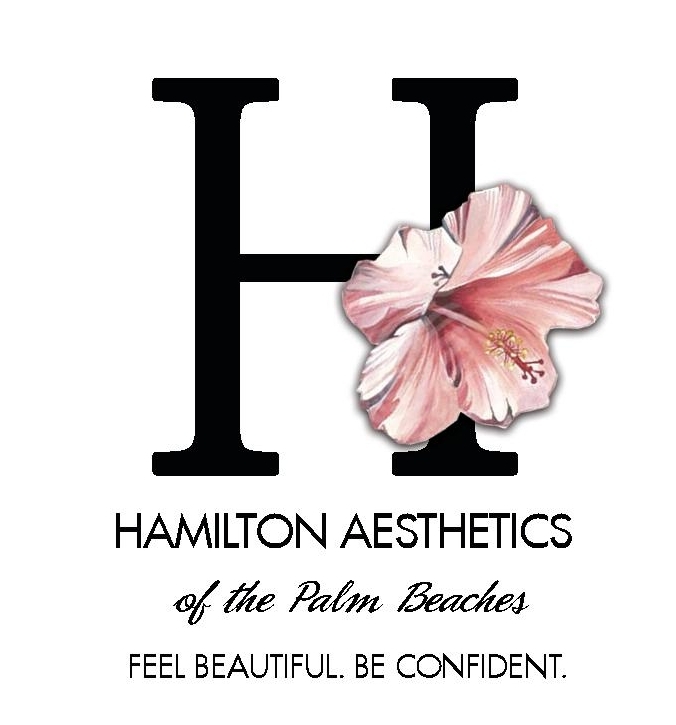 Hamilton Aesthetics is excited to offer all of the Hyaluronic acid dermal fillers and biostimulatory fillers as well. In the uncommon and rare circumstance that a patient has an undesirable outcome, correction is possible with the injection of hyaluronidase which breaks down the unwanted hyaluronic acid dermal filler. Most of the dermal fillers on the market today contain lidocaine. If they do not, we can simply add lidocaine to the syringe of filler. This addition of lidocaine has significantly reduced the discomfort associated with dermal filler injections. Some other adverse events that can occur may be erythema, swelling and bruising. As with any injectable, patients should avoid all blood thinners for 10 days prior to the treatment. Check out our pre-treatment instruction tab on our webpage for further details. Most dermal fillers last on average up to a year. Patients may need a touch up in 4 to 6 months after their initial treatment. At Hamilton Aesthetics, we encourage patients to maintain their filler results by not waiting until your filler has completely metabolized before getting your next treatment. Call now to schedule your complimentary consultation to find out which Hyaluronic Acid or Biostimulatory dermal filler is right for you.